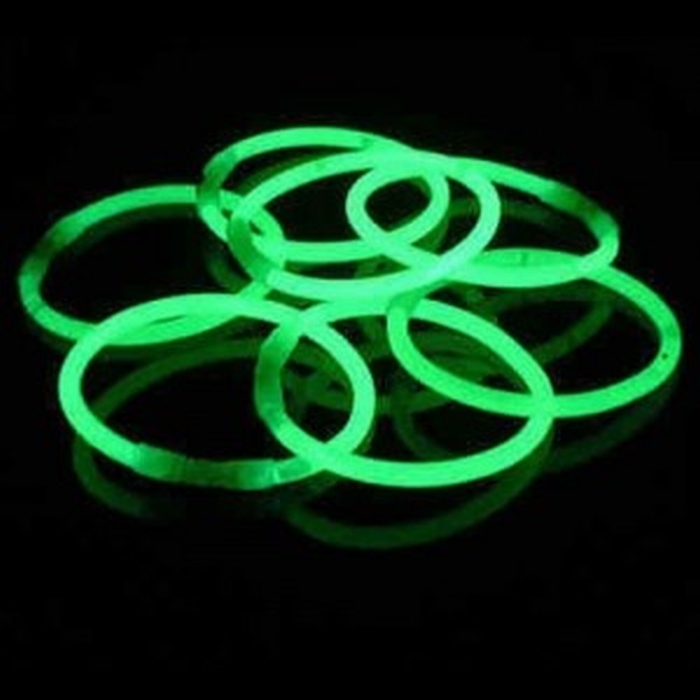 Minimum quantity for "Glow Bracelets green" is 2. Packed with 100 Green glow sticks per tube. The Green glow sticks are widely used for glow runs, weddings, treasure hunts, children's parties, events, Halloween parties, full moon parties and LED runs to increase the atmosphere. Wholesale of quality Glow sticks in the Green color.